Stress-Free Healthy Living for you and your business is our promise. 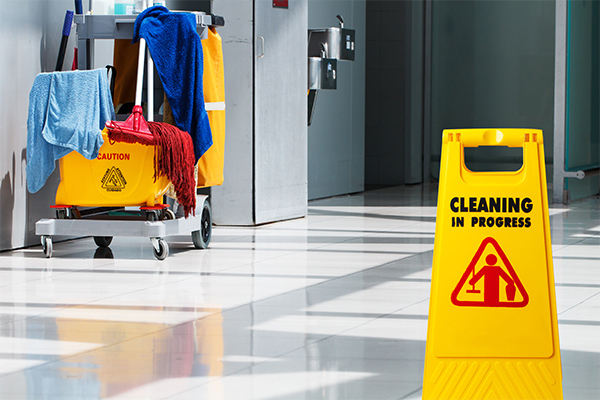 At Daystar Cleaning and Restoration, we understand what a highly efficient and competent janitorial staff can do for the productivity of your employees and in turn your bottom line. In a healthy indoor work environment, everyone wins! We are genuinely concerned about the indoor healthy living needs of our clients and tailor our services to meet those individual needs. Listed below are some of the janitorial services we offer, and we can craft a custom solution to suit your business. Whether it’s daily, once a week or once a month cleaning, we are here to help. At Daystar, our priority is your satisfaction. We have supervisors on several levels that inspect our services weekly to ensure the highest quality. We also value open communication between our janitorial manager and our clients and technicians. We do this through personal visits and communication log books at each job site where clients and technicians can document any concerns or questions. Daystar is equipped to clean spaces ranging from 500 to 200,000 square feet. We service over 100 businesses in the Bay County area, including civilian/military contractors, auto dealerships, banks, medical offices, business offices, retail establishments, condominium lobbies/common areas and more! VACUUM – with HEPA-rated vacuums to ensure a cleaner environment with better air quality. TRASH DISPOSAL – empty trash bins and replace liners as needed. SWEEPING/MOPPING – with various type tools and mops specific to your floor materials. DUSTING – with microfiber dusting cloths, paying special attention to air vents and returns and place diffusers. A/C FILTERS – upon request we regularly change out filters. BATHROOMS – sanitize toilets, clean floors, sinks and mirrors and replace all hand towels, soaps and toilet tissue. LOBBYS/BREAKROOMS – thoroughly clean, organize all reading materials and arrange chairs in an orderly fashion. INTERIOR WINDOW/DOOR GLASS – offer streak-free cleaning of interior glass. Many of our cleaning solutions are environmentally friendly. We abide by all SDS (formerly MSDS) regulations. We are happy to provide you with additional information about any of the cleaning solutions we use. Daystar is proud of our very low employee turnover rate (less than 10%). Many of our employees have been with us a long time, which means you will benefit from our depth of experience unmatched by other companies in the area. Many of our staff members are 5+ year veterans, with our management staff bringing 40 years of professional cleaning experience to work for you! All our cleaning staff undergo a thorough background check, drug testing, and must go through multiple interviews before being considered for employment. Once hired, they go through a vigorous multi-tiered training program including industry sponsored certification programs, industry specific trainings, OSHA safety trainings and the latest SDS regulations (formerly MSDS). They are experts in their field and deliver exceptional results. Many of our long-time clients remain loyal to Daystar because they know they can count on our professionalism, reliability and after-hour emergency availability. They know we are here to help them maximize their profits with the latest industry techniques and the highest standards of professionalism. 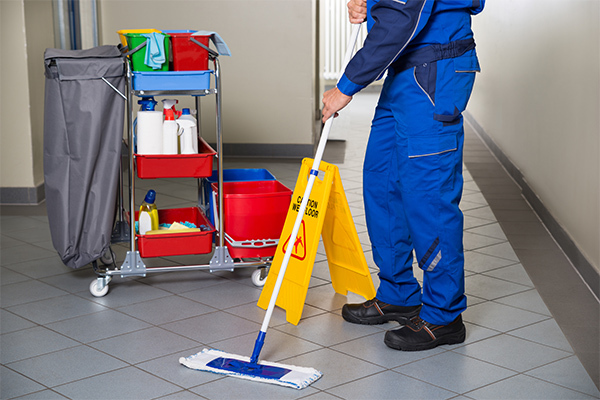 When you need the best janitorial services Panama City, FL has to offer, turn to Daystar. Call us today for a free proposal and let us help you and your staff achieve Stress-Free Health Living!